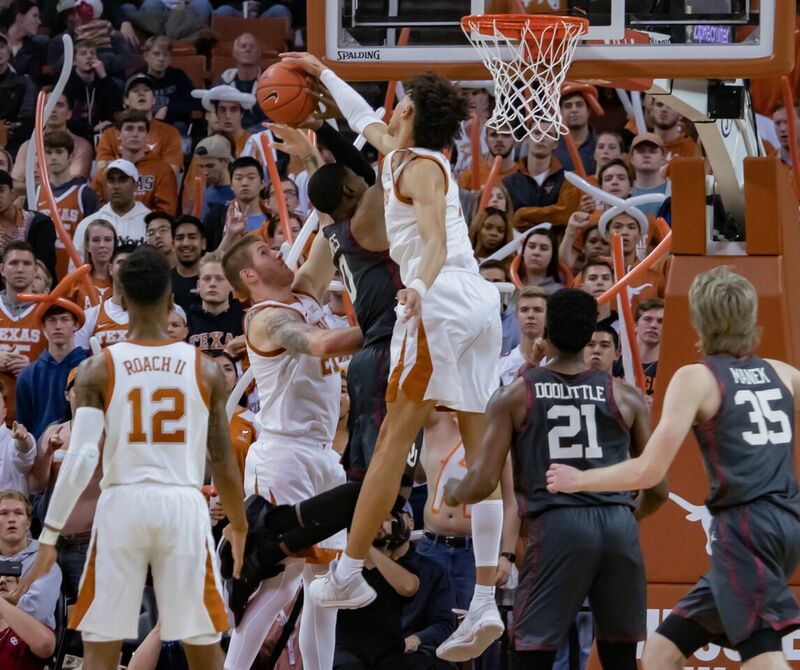 Partway through its Big 12 Conference basketball slate, Texas’ place in the simplest offensive and defensive statistics tell two different stories. Texas head coach Shaka Smart’s team is in the top 40 in scoring defense and 226th in the nation in scoring offense. Texas (11-7, 3-3 Big 12) under Smart has often looked like this. 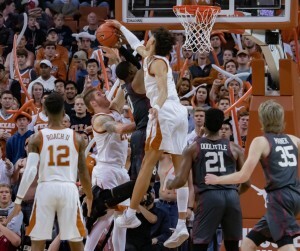 Tough, aggressive defense with struggling and often stationary offense isn’t always aesthetically pleasing, but that’s the game the Longhorns have shown up with often this season. The Longhorns will travel twice this week, first for Wednesday’s conference game at TCU followed by a weekend trip to Athens, GA to take on the Georgia Bulldogs in the SEC/Big 12 Challenge. In order to succeed on the road, Smart knows his team will have to bring a high level of defensive intensity. Smart’s team is the beneficiary of some turbulence in the TCU basketball program. Despite a 13-4 overall record and 8-1 record at home in Schollmaier Arena, the Horned Frogs are 2-3 in Big 12 play and missing several players who were on the roster at the beginning of the year. Jaylen Fisher, Yuot Alok, Kaden Archie and Angus McWilliam all have placed their names in the NCAA Transfer Portal. McWilliam reportedly is still with the program, but the other three are exploring their transfer options. Still with the Horned Frogs is Alex Robinson. The senior is the playmaker for TCU averaging 13.8 points and 7.9 assists per game. Fisher was another primary playmaker for the Horned Frogs. In his absence, the defensive focus will be primarily on Robinson. Despite a very short bench, Robinson has quality options he can find with the pass. Desmond Bane and Kouat Noi are combining to shoot 39.7 percent from long distance and 51.2 percent from the field. In order to make life tough for those two, Smart said his team needed to place an emphasis on perimeter defense. Smart said getting a hand on the basketball on defense is the closest statistic that correlates with being a great defensive team. For that to happen, there needs to be constant effort on defense. That’s easier said than done, especially in the Big 12, but that’s what Smart expects from his team over these next two road games. The Texas-TCU matchup tips Wednesday at 6 p.m. on ESPNU. Texas’ game at Georgia (9-8, 1-4 SEC) will tip Saturday at 1 p.m. on ESPN2.